The Short Version: When you can’t seem to find the right person after years on the dating scene, you might consider a matchmaking service to help deliver exactly what you’ve been looking for. But what if what you’ve been looking for isn’t right for you? The matchmakers at Three Day Rule function almost as therapists when they interview clients to get to the root of what they need in a significant other — even going as far as to ask why they think they’re still single and analyzing their exes using facial recognition to decode their type. Most of what they do is get clients to move past superficial requirements like perfect teeth or a certain height and focus instead on what actually plays into compatibility, like similar long-term goals and outlook on life. 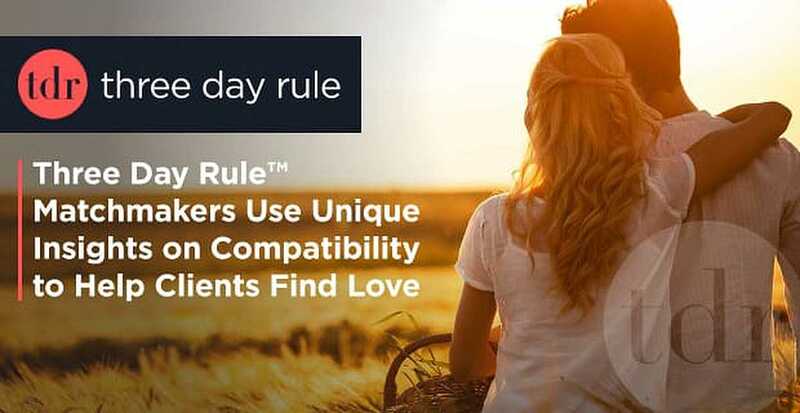 After a few months of iterations based on feedback from first dates, Three Day Rule finds that successful matches end up in long-lasting relationships and even marriage. In high school, my friend Megan’s longest relationship was maybe a few months, which was pretty typical among our friends and for our age. None of us were all that picky about who we dated (as long as they were cool), and whenever we found ourselves in a relationship, we were focused on enjoying it to the fullest and breaking things off if it wasn’t making us happy. When I think about it now, I realize we just wanted to have fun and to laugh and to have someone find us interesting enough to talk to for hours at a time. Somehow, 10 years and several relationships later, we’re all approaching 30, and Megan now has many prerequisites for a potential mate as well as a list of what drives her crazy. Rather than helping her find Mr. Right, her list ends up eliminating potential matches based on aspects that don’t play as big a role in actual compatibility. From little things like chewing on pens or having a crooked nose to bigger turn-offs like career choice or a messaging misstep, people are going to naturally be more picky when considering spending more than a few months with someone. But do they really have to be? Talia Goldstein was matching co-workers from her cubicle before creating Three Day Rule. As the Founder of the matchmaking service Three Day Rule, Talia said one of the biggest hurdles her company faces is helping clients see past the laundry list of little things they’re looking for in a mate. Her matchmakers instead look at three to four intangible attributes, such as outlook on life and shared sense of humor, to find clients the right fit. “When I was single, my type was what I call a stable indie rocker,” Talia said. Basically, a man who would go to shows with her and thoroughly enjoy the music while being successful in real life (which means definitely being able to pay his bills). “I ended up finding this attorney who was going to the same shows I was going to all the time.” Definitely, her “type,” she married him, and they now have two children together. Part of what makes TDR unique, Talia explained, is the time it puts into data mining for its clients. The technologically advanced database her matchmakers work from includes details about past dates and even facial recognition. TDR interviews both the client and the match after a first date to learn what went right as well as what might have gone wrong. Facial recognition helps TDR find matches based on what visual “type” clients seem to gravitate toward. Talia explained that often clients describe the perfect man, but when TDR analyzes the client’s exes, they don’t fit that ideal description and instead share a similar type of facial structure. With its propriety facial recognition technology, TDR can make matches clients are intrinsically drawn to physically beyond the larger, more relevant factors for compatibility. Overall more women use TDR, on average, and some cities, like San Francisco, have a more even gender split. Client ages vary, too, but Talia said the majority are in their 30s and turn to TDR because their busy work schedule keeps them from devoting much time to dating. There are two lengths of contracts for TDR clients, three and six months. You can also be added to the TDR database for free, but you will only be considered a match for contract clients (which means you won’t receive any matchmaking for yourself). You can even transfer your dating profile into their database from partnered sites like Match and OKCupid. Matchmakers at TDR make each date better than the last with post-date follow-up interviews. Clients are first interviewed by a matchmaker on everything from the relationship they have with their parents to their aspirations and temperament. Clients can also submit images of exes for facial profiling to aid in the matching process. TDR matchmakers then spend time culling prospective singles from the shared company database and personally interview those who make the cut before suggesting a date for the client. If dates seem to go awry too often, TDR will actually go to events or bars as a wingman with clients to help coach them. TDR hosts events for singles to meet each other and for matchmakers to mingle with prospects. In addition to the digital profiles in the database, matchmakers find prospective singles for their clients by hosting events in the seven cities TDR supports — Los Angeles, New York, Chicago, Washington, D.C., Boston, San Francisco, and now Philadelphia. Local singles and TDR clients get the chance to mingle at events like a 50-person wine tasting and a 1,000-strong themed party. Remembering back to high school — before commitment was ‘til death, before there was that one horrible date with an “actor,” before we closed ourselves to a wide range of people to consider dating — we just wanted someone who we could spend an entire day with and want to do it all again tomorrow. By analyzing dating history and narrowing down what is truly needed for happiness in a relationship, TDR matchmakers help clients find love they might have previously passed up. Talia wants to make sure more people have access to TDR, so this year she plans to focus on expanding her company’s reach by hiring more matchmakers for the seven cities TDR currently operates in. 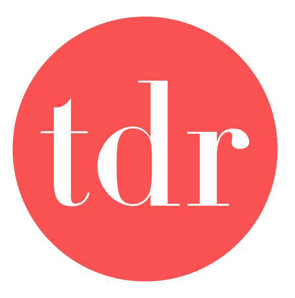 TDR plans to grow its team of matchmakers to better serve the cities where it has a presence. Next year, she wants to add more cities to the TDR rolodex, and her strategic partnerships with companies like Match and OKCupid will help provide the client base needed to hit the ground running in new locations. While Talia’s team consists of matchmakers with varied, impressive backgrounds, they all have one big thing in common: “At the end of the day, it comes down to soft skills.” What makes her matchmakers special is their ability to listen and dissect clients within the same conversation. Matchmakers have to be able to hear what the client says, but also ask the questions that will get at the heart of what the client really needs — to feel loved.